Jeep Compass AT now available from Rs 18.9 lakh onwards in Longitude (O) trim. Gets touchscreen infotainment unit, auto AC and projector headlamps. More affordable by Rs 1.07 lakh than next available petrol-AT Compass Limited, which additionally offers leather upholstery and rear parking camera. The Jeep Compass SUV set the new benchmark for value for money in the mid-size SUV space when it was launched in 2017. And if you’re in the market to buy it in the petrol-auto powertrain now, the package has just got more appealing. Jeep now offers the 7-speed dual-clutch transmission on the Compass petrol in the Longitude (O) variant as well. The automatic option was previously limited to just the Limited, Limited (O) and Limited Plus variants. The price of the Compass Limited with petrol-AT powertrain is Rs 19.97 lakh, but the Longitude (O) variant with the same powertrain is now available at a price of Rs 18.9 lakh (both ex-showroom, Delhi). The mid-spec Longitude variant was only offered with the 2.0-litre diesel engine and 6-speed manual until now. 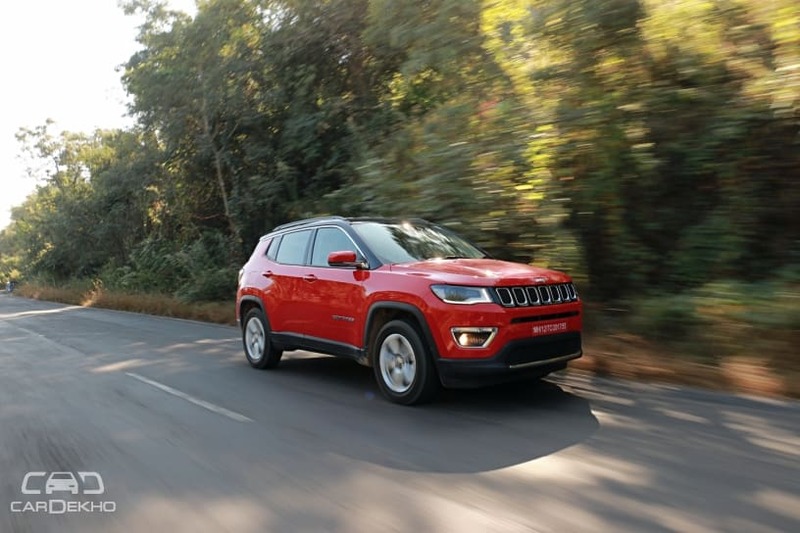 The Compass Jeep gets a 1.4-litre petrol engine (163PS/250Nm) with a choice of 6-speed manual in the base variant and a 7-speed DDCT automatic gearbox. As a reminder, here’s a quick run through of the key features offered in the Longitude (O) variant: 7-inch touchscreen infotainment unit with Android Auto and Apple CarPlay compatibility, automatic AC controls on the touchscreen interface and projector halogen headlamps. The features it misses out on over the Limited variant are reverse parking camera, LED tail lamps and leather upholstery. Clearly, since the Compass Longitude (O) with petrol-auto powertrain is priced over Rs 1 lakh lower than the Compass Limited with the same powertrain, it is now a more attractive package for a more restrained budget. If you still miss the leather seats and the parking camera, you can get both fitted post purchase. Also read: Tata Harrier Expected Prices: Will It Undercut Jeep Compass, Hyundai Tucson?